It’s becoming a common adage that every company is a tech company. As customer expectations have shifted in a “digital-first” world, companies in every industry are moving to faster development cycles, web based services, advanced data insights and even machine learning, in order to deliver greater value to customers and stay ahead of the competition. As part of this transformation, application developers are gaining more influence in deciding which tools to use for the job. More than ever before, developers are persuading their management to embrace open source languages, which allow for greater flexibility and collaboration and innovation, backed by robust ecosystems. However, selecting the right language for software projects can be a daunting task. The sheer number of moving parts involved, from libraries and frameworks to cloud hosting services, microservices, databases and other integrations can be overwhelming. 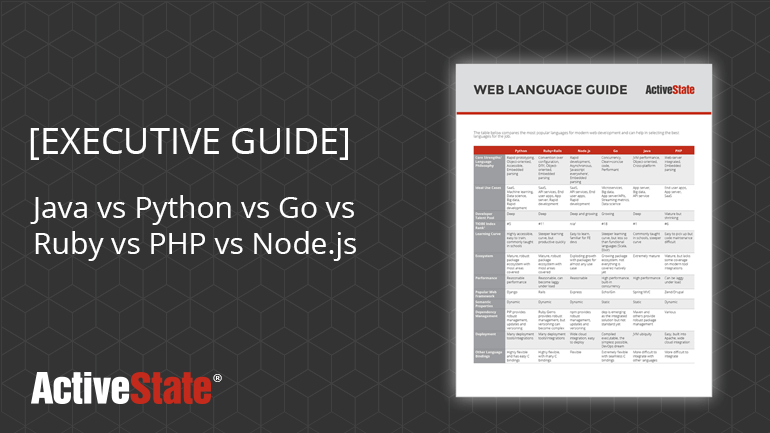 We hope this guide helps you successfully adopt the right languages for your digital-first strategy. Give it a read and let us know what you think!